Lauren and Eric are college sweethearts - yay! I just love stories of college sweethearts because that's exactly what Scott and I are and I know from experience that if you can grow toward each other as you grow up you can share one amazing love. And that amazing, soulmate, best friend love is exactly what Lauren and Eric share! They moved from CT to TX a few years ago for Eric's job. Eric planned a sweet proposal in their living room while Lauren was face-timing with her parents so they got to witness the proposal even though they were half way across the country. How clever is that?! 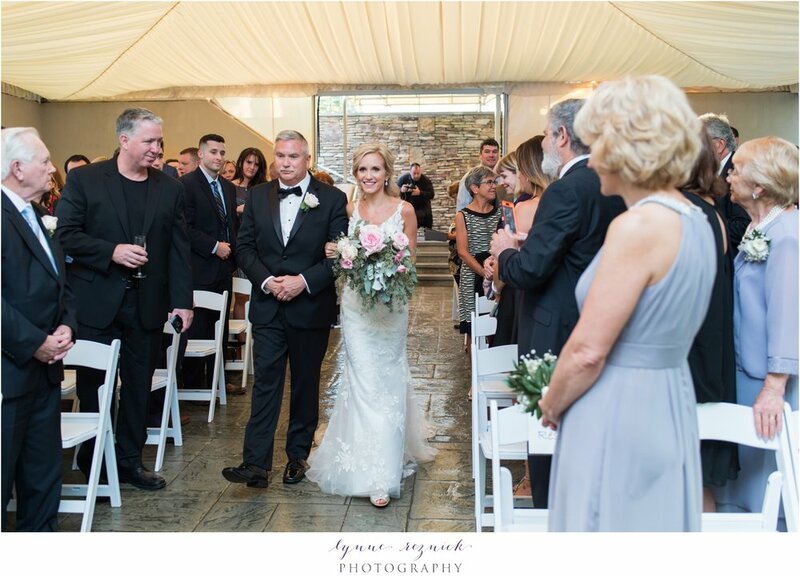 While they enjoy living in the Lone Star state, they came back to CT for their wedding and planned an elegant wedding at Riverview in Simsbury, CT to celebrate their love. 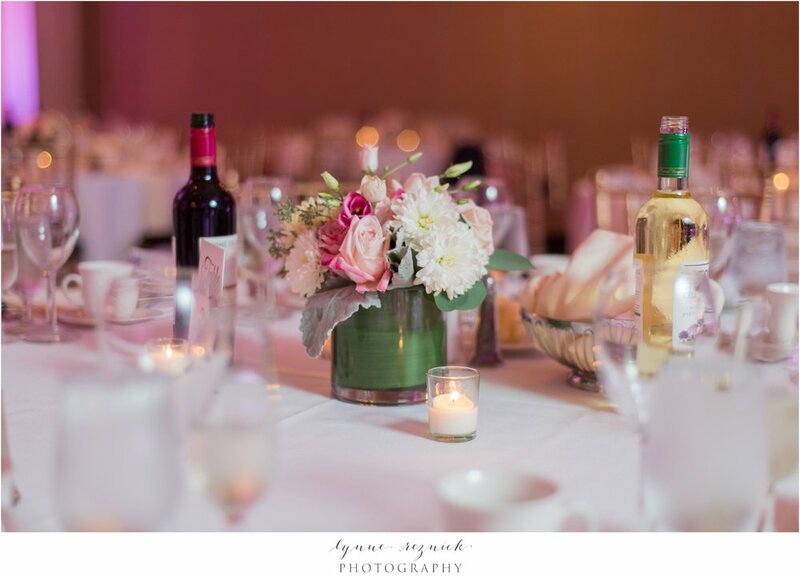 The Simsbury Inn is right down the road form Riverview and was the perfect spot for Lauren and Eric to get ready. Lauren bought the sweetest floral robes for her bridesmaids and they wore them as they had hair and makeup done by the incredibly talented team from Transcendent. 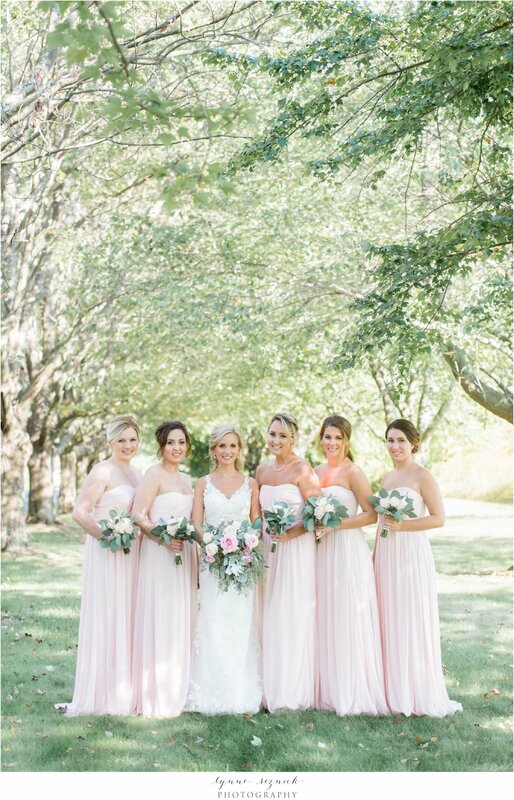 Lauren's stunning lace-covered Casablanca gown was from Ventura's Bridal in Houston. Not to be outdone by the ladies, Eric and the groomsmen all sported some preppy colorful socks that added to their dapper look for the day as well! One of my favorite parts of the getting ready process was when Eric and Lauren each took a moment to breathe deep and read a love note from the other. They wrote them in vow books and each took a moment in their separate getting ready rooms to pause and take in the love that they share before we headed out for their first look. I love the idea of a lifetime of writing love notes to each other and I your wedding day is the perfect time to start! 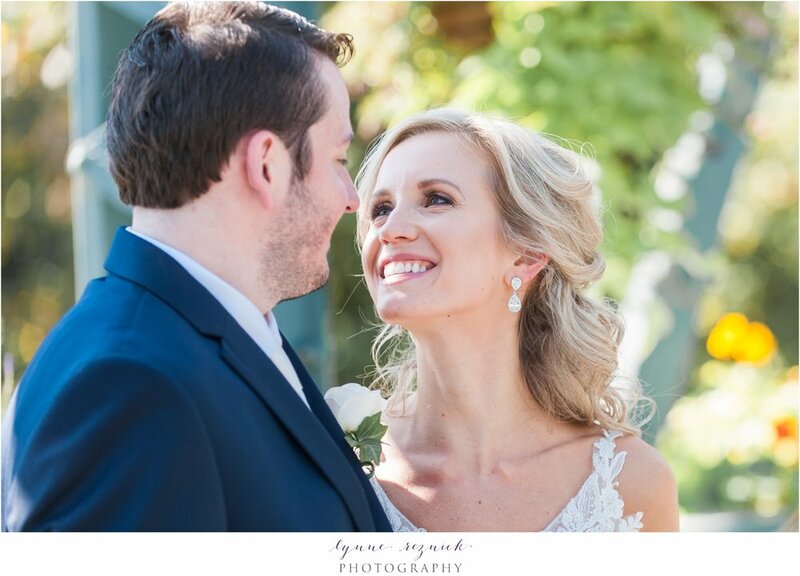 Lauren and Eric wanted to enjoy every moment of their wedding celebration and they really wanted a private moment together when they saw each other for the first time, so they decided to do a first look. We headed to the Old Drake Hill Flower Bridge in Simsbury where they got to see each other, hug, kiss, and snuggle up for the first round of couple's portraits. Lauren's bridal bouquet from Branford Flowers fit right in with the gorgeous blooms on the flower bridge. Then we went to the most magical grove of trees on the side of the road. Seriously, it was a random roadside that they had discovered the night before. And it could not have been more perfect! I'm pretty sure I squealed with glee when we got there! You'll see why below. We took more couples portraits there and met their bridal party for portraits there as well. It was ah-mazing and I still have all the heart eyes! 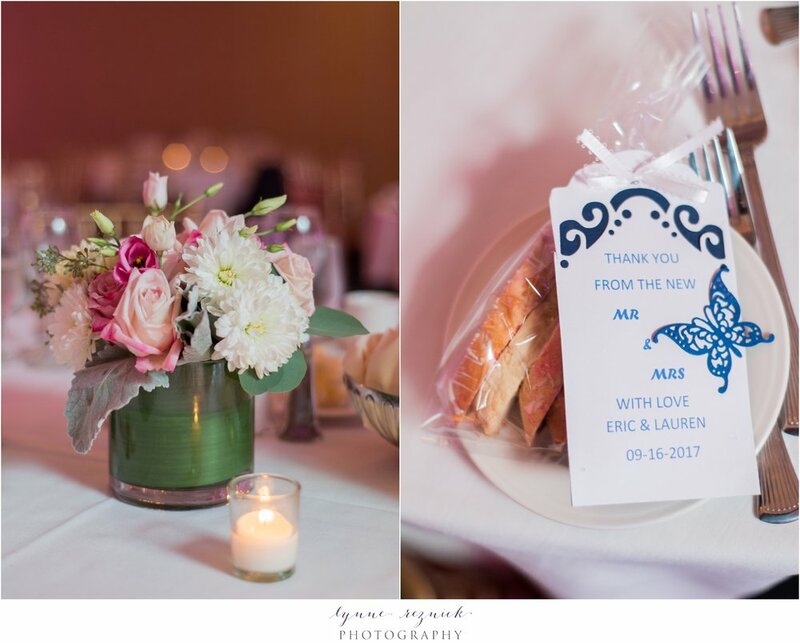 Lauren & Eric are such sweet people that it's no surprise their bridal party was full of sweet and fun friends and family who made each other laugh. They brought such a positive energy to the day and really made the portraits a joyful process. The ceremony took place at Riverview and the personable officiant Sal of Weddings By Sal led them through their marriage vows. Sal did a lovely job of making the ceremony meaningful and special for them as a couple. 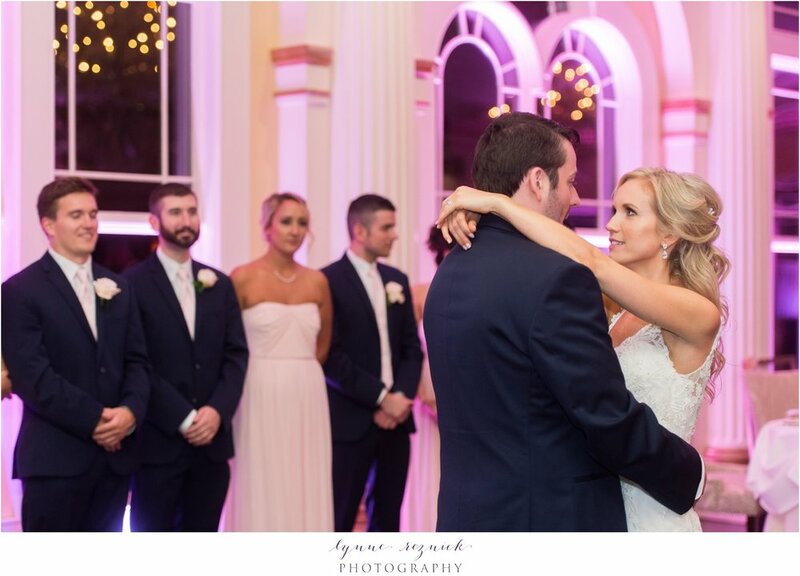 But my favorite part of the ceremony was seeing how Lauren and Eric, even though they had spent the last few hours together for photos and relaxing with their bridal party, still couldn't keep their eyes off each other. They got lost in each other time and time again throughout the ceremony. That is one powerful beautiful love. The day was special in so many ways, but Lauren explained being really excited for two main reasons: "I'm excited to marry my best friend and am excited to celebrate with all of our friends and family. I'm also really excited to dance and see all our friends from home. It will also be like a reunion for a lot of us since we all live in different states now." Needless to say, there was plenty of dancing and Collins Entertainment did a great job of keeping the dance floor moving all night long. Oh an done more thing, as if I needed any more proof that these two were amazing, Lauren's signature drink was a sparkling margarita! I'm a HUGE fan of both tequila and champagne and her cocktail put them together!!! I drooled a little but I was on the clock so I did not try one that night - however, next time you two are in New England - Margaritas are on me! They also gave homemade biscotti to their guests and had a gorgeous wedding cake made in house at Riverview. XO Cheers and congratulations Lauren and Eric!